Paul S. Powers (1905-1971) is known for his long-standing career as a western writer and as the creator of Wild West Weekly’s most popular heroes, Sonny Tabor and Kid Wolf. But Paul was a talented and versatile writer who loved to write in other genres, such as horror, noir, animal, romance, and historical accounts. 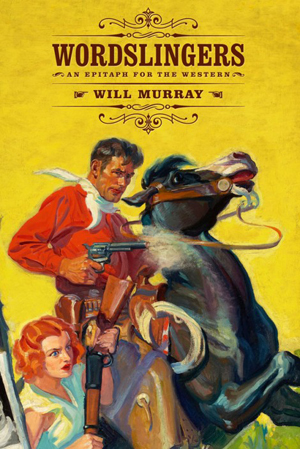 Here, together in one volume for the first time are his famous stories published in Weird Tales in 1925-26, as well as other stories that were published in Real Detective Tales & Mystery Stories, Thrilling Wonder Stories, Range Rider Western, Ranch Romances, and the modern Beat to a Pulp anthologies. Four of the stories in this collection have never been published before, and one was co-written by Powers’ eldest son John. Together these provide a rare glimpse into the thoughts of a writer who, while churning out westerns that were loved by thousands of readers, battled many demons. He shares his struggles with us through these suspenseful, surprising, and sometimes very emotional stories.